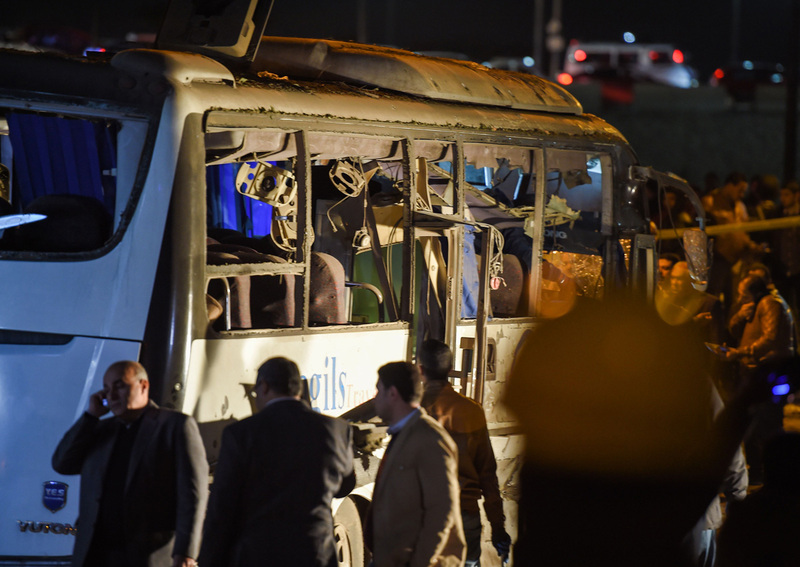 A statement by the public prosecutor's office said 11 other tourists from Vietnam and an Egyptian bus driver were wounded when the homemade device exploded. Madbouli urged against "amplifying" the incident as he insisted that "no country in the world can guarantee that its 100 per cent safe". "It's possible at times that an individual incident takes place here or there," he told journalists. "We have to know that it's possible that it would be repeated in the future." "We stand with all Egyptians in the fight against terrorism and support the Egyptian government in bringing the perpetrators of this attack to justice," State Department spokesman Robert Palladino said. Egypt's tourism industry has been struggling to recover from terror attacks and domestic instability that has hit the country in recent years. That incident dealt a severe blow to Egypt's tourism industry still reeling from the turmoil set off by the 2011 uprising that forced veteran leader Hosni Mubarak from power. But that figure was still far short of the record influx in 2010 when over 14 million visitors flocked see the country's sites.